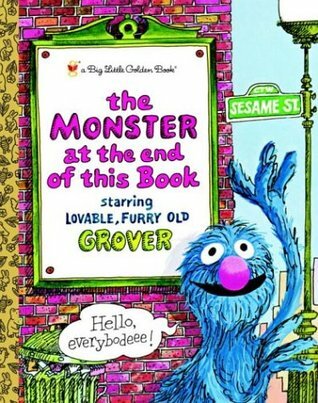 This book is the reason why Grover was and is my favorite muppet of all time! This is a Little Golden Book classic that has remained on every bookshelf I have ever owned. I have also bought copies for my nieces. The first time my daughter read it, she wore the biggest smile. I hope that it will become one of her favorites too. This book had such a strong impact on me that I would re-read it long after I was out of the “recommended age group”. I got this book – and several others in the series – from a book-by-mail service that my grandparents ordered for me and my younger cousin. We loved them! 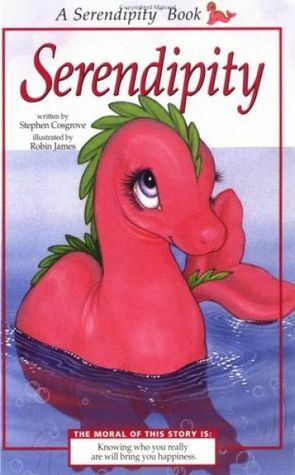 Not only did I fall in love with this adorable pink sea monster, but I was so proud to learn how to pronounce the book’s title – one of the biggest words I knew at the time! Immediately there was something about his book that drew me in. It was one of the only books that I would read over and over again. 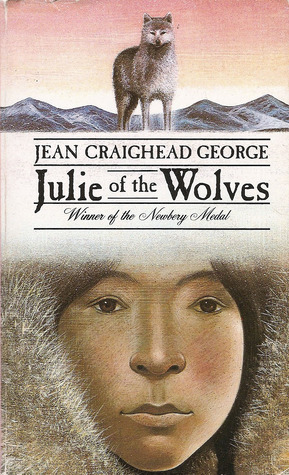 I thought no one was as brave as Julie, making her life in the wilderness with a family of wolves. I loved this book then and it still brings me fond memories. In middle school, I fancied myself a writer (I was not). But this is how I figured I’d get my start: By writing a best-selling autobiography. And Harriet the Spy was my inspiration. I loved how she could tell a great story just by writing down her experiences every day. Sadly, my attempt was not nearly as interesting as Harriet’s adventures and I gave up my efforts. But this little book became one of my favorites, and I have shared it with my daughter as well. I lost track of this book for a while. I remembered the premise and some of the plot, but I forgot both the title and author of this 1981 “classic”. Finally, I posted on Goodreads and the bookish community helped me to remember Mr. Radagast’s book and this sci-fi/fantasy about what happens when you teach your 7th grade class about immaterialism! I remember reading The Monster at the end of this book endlessly to my boys! My little grandson’s favorite book is Giraffes Can’t Dance. Book memories are some of the best memories. I’m sure your boys will feel the same as they grow!